Ticks can be found in different kinds of terrain, at different times of the year, in different kinds of weather. They come in different sizes. Many are quite small, as easily overlooked as a speck of dirt. They tend to be near the ground—in decomposed leaves, grasses, bushes, fallen logs and on the lower part of tree trunks. When you brush by them, they may transfer to your shoe, your pant leg or your arm. Sometimes ticks hitch a ride on your dog’s fur. And then come on over to you when they get the chance. A tick may walk up your clothing until it can access skin. When it strikes, it embeds its mouth parts in you and starts sucking your blood. 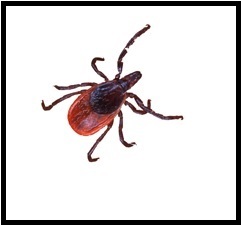 The longer a tick is attached to the body, the more likely it will transmit disease. When engorged with your blood, the tick swells up to the size of a raisin. Different kinds of ticks can carry different diseases. Your best defense against all tick-borne illness is avoiding exposure to ticks. Your second best defense is to quickly find and remove any ticks that latch on to you. Most people who contract Lyme get it from nymphal ticks, the immature ones. Because nymphs are as small as poppy seeds and their bite is painless, many people don’t notice or remove them. An excellent way to protect yourself is to wear insect-repellent clothing. The fabric has been treated with a special process that binds permethrin (a repellent) to the fibers. Testing has shown it to be highly effective against ticks, mosquitoes, ants, flies, chiggers, and midges. Protection lasts through at least 70 washings. You can buy an aerosol can of permethrin at outdoor stores and treat your clothing yourself, though when applied this way, the protection will only last through five or six washings. It’s important to protect your feet, since nymphal ticks are often on the ground. One study showed that people with permethrin-treated footwear had 74 times the protection of those without it. When you spray your shoes or boots, do it outside in a well-ventilated area, making sure you don’t breathe the vapors. You should also apply insect repellent to exposed skin. Repellents that include DEET, picaridin, or lemon eucalyptus oil are most effective. While in the field, check yourself periodically for ticks. Use fine-tipped tweezers to remove any embedded ticks you may find. (Don’t douse them with lighter fluid, dish soap, or other such “remedies.” That can make the tick regurgitate its contents into you—not what we’re going for here.) Click here for more about how to remove a tick. When you come in for the day, you should do two things: run all your clothing through a hot dryer for at least 10 minutes, which will kill any live ticks that might be present in your clothing. Then, take a shower and thoroughly check your entire body. As you run soapy hands over your skin, feel for unexpected bumps, which may turn out to be embedded ticks. Pay special attention to hidden spots—behind the ears, hair line, armpits, groin, and belly button. Parents should check their young children. Whether or not you find a tick, stay alert for symptoms that could arise from a tick-borne illness. 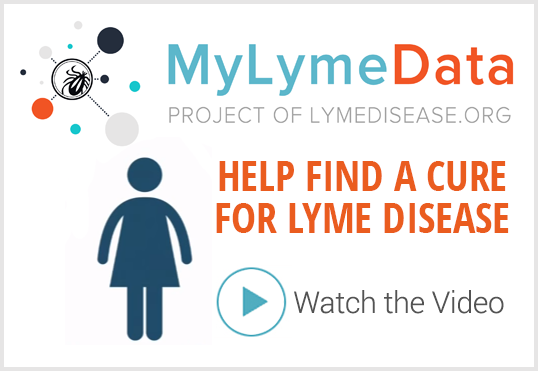 A bull’s-eye rash indicates Lyme disease, but not everybody with Lyme gets one. You might have a different rash or none at all. You may develop flu-like symptoms—fever, headache, nausea—or joint pain or dizziness. Ticks can carry all kinds of nasty stuff—not just Lyme disease. 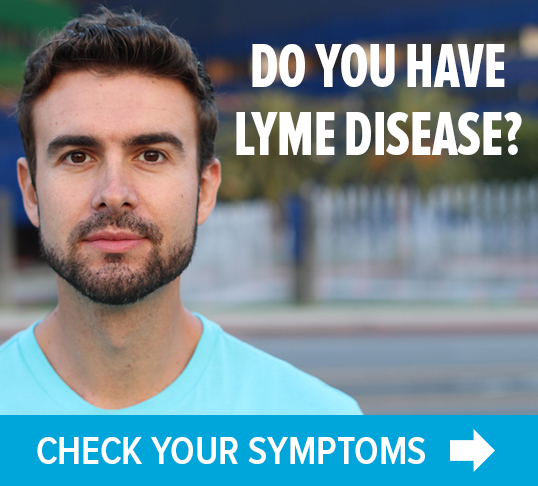 For more information about Lyme and other tick-borne infections, go to www.lymedisease.org.